After a disappointing last week, U.S. stocks are trending higher on Monday, pushed up by telecommunications, utilities and consumer staples stocks. 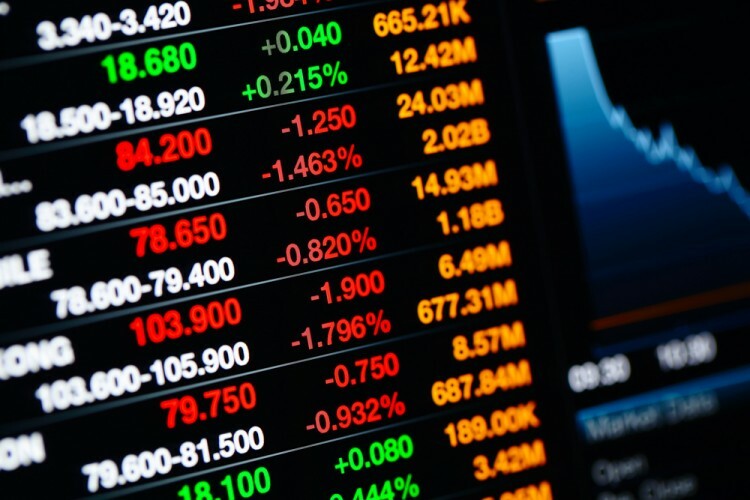 In this article we’ll take a look at some of the stocks that have led today’s advance, namely JD.Com Inc(ADR) (NASDAQ:JD), ICICI Bank Ltd (ADR) (NYSE:IBN), Oracle Corporation (NYSE:ORCL), Ericsson (ADR) (NASDAQ:ERIC) and Cisco Systems, Inc. (NASDAQ:CSCO). Let’s find out what got investors talking about these stocks today. But why do we track hedge fund activity? From one point of view we can argue that hedge funds are consistently underperforming when it comes to net returns over the last three years, when compared to the S&P 500. But that doesn’t mean that we should completely neglect their activity. There are various reasons behind the low hedge fund returns. Our research indicated that hedge funds’ long positions actually beat the market. In our back-tests covering the 1999-2012 period hedge funds’ top small-cap stocks edged the S&P 500 index by double digits annually. The 15 most popular small-cap stock picks among hedge funds also bested passive index funds by around 53 percentage points over the 37 month period beginning from September 2012 (read the details here). First up is JD.Com Inc (ADR) (NASDAQ:JD), one of China’s top e-commerce firm. The company reported third quarter financial results before market open today and one of the highlights is the 52% increase in revenues year-over-year, in line with analysts expectations. JD.Com posted 44.1 billion yuan ($6.9 billion) and a net loss of 530.8 million yuan ($83.3 million), as increased marketing expenses and other costs have taken their toll on the bottom line. Investors were unfazed by the company reporting a first ever quarter-on-quarter decline in revenues and have pushed the stock higher this morning, currently up by roughly 8%. At the end of the second quarter, approximately 25% of the company’s common stock was held by 75 hedge funds, up from 68 at the end of March. Legendary investor Julian Robertson is very bullish on the stock and has made it his number one bet at the end of June. His fund, Tiger Management, reported ownership of 3.13 million shares in its latest 13F filing. Shareholders of ICICI Bank Ltd (ADR) (NYSE:IBN) should be rather pleased this morning, as the stock has opened higher and is currently up by approximately 2.7%. The company announced the sale of 6% of its stake in ICICI Prudential Life Insurance Company Limited, a co-venture with Prudential Public Limited Company (ADR) (NYSE:PUK), to Premji Invest and Compassvale Investments Pte Ltd. Following this transaction, ICICI Bank will be left with roughly 68% of the insurance company. The Mumbai, India-based baking company has also announced the appointment of Ms. Vishakha Mulye to its board of directors. Ms. Mulye is currently managing ICICI Venture Funds Management Company, a wholly owned subsidiary of ICICI Bank. Hedge funds have an insignificant presence among the shareholders of ICICI Bank Ltd (ADR) (NYSE:IBN), as 29 funds held 1.7% of its outstanding stock at the end of June. Ken Fisher is optimistic about the prospects of the company, having slightly increased his holding to 10.3 million shares, as reported in Fisher Asset Management’s latest 13F filing.